Arranged around the zodiac in 5-degree segments, gathered into four groups of nine pairs, they help to define the energies that make each card 1-9 unique in both upright and reversed positions. Most Tarot readers don't deal with the Shem angels (Shem Ha-Mephorash) or even know they exist, but it was by building these energies into the meanings of his pip cards that Etteilla managed to codify a set of discreet divinatory meanings for his revolutionary set of cards, made at the end of the 1700's. "Modern historians have arrived at consensus about the ultimate Gnostic and Zoroastrian origin of many of the words of power, angel-names, and magical utterances in Agrippa, the Picatrix, the Book of the Angel Reziel and other grimoires and magical manuals of the times." In the case of the Shem angels, these names were recorded in Hebrew scripture long before the 2nd century BCE, which was the point when the original scroll of the Torah (consisting of Genesis, Exodus, Leviticus, Numbers and Deuteronomy) was divided into five "books" as we have them now. Despite this appearance in Exodus, the Shem angels are not Egyptian at all, but are drawn from Persian/Zoroastrian astrological traditions. My insufficient investigations have so far failed to uncover how they got into these verses, whether this recitation is the chicken or the egg, so to speak. Elizabeth M. Butler, author of Ritual Magic from the Penn State Press series called Magic in History, opines that they probably entered Jewish thought during the Babylonian captivity. What we can know is that this canon of angels has been collective property since Antiquity, being "grandfathered in” to Arabic and Sufi astronomical practice as well as the Torah. 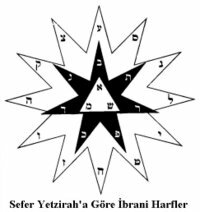 Found in the Book, "Bahir"
One can read about the strictly Hebrew aspect of the Shem angels in Gershom Scholem's Origins of the Kabbalah, page 97-100. 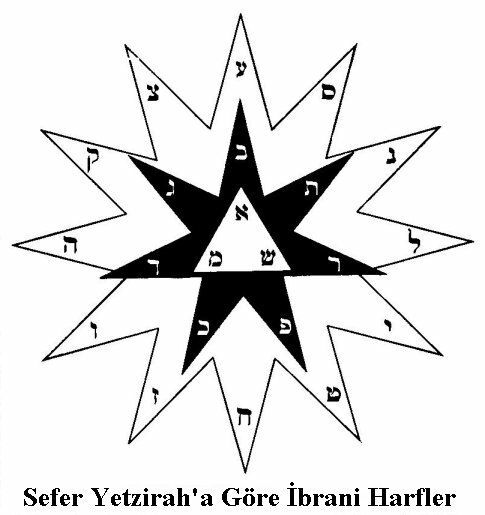 He says they appear in the Hekaloth literature, and can also be found combined with the Sefir Yetzira in the book Bahir (denominated in Part 1, sections 107 and 110). 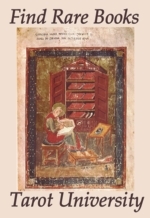 Since the Bahir was first publicly circulated in Spain around 1176 (though it was centuries older), this would likely mark the date when rumors about it would begin to spread to the few Christians who were interested in Hebrew studies at that time. Interest in the Shemhamphoras angels (and others) really crested among esoteric Christians at the turn of the 1500's. This is the point when the historical promulgators of Renaissance magic -- Marcilio Ficino, Pico della Mirandola, Reuchelin, Trithemius, and Agrippa -- had laid down enough copy on the subject to form the beginnings of a coherent picture of the magical potential they found in Hebrew theurgic mysticism. Modern scholars of Christian Cabbala agree that this first group of Christian students had only a tenuous grasp of the overall scope of the Hebrew Mysteries. What they did possess in good measure, however, was a keen eye for the many useful sacred tools at the disposal of the Rabbis, including the magic of the alphabet enshrined in the Sefir Yetzirah and the list of the Shem angels, as given together in the book Bahir. It helps to remember how intertwined were the interests of this international cabal of magically inclined esotericists. Rabbi Yohanan Allemano tutored Ficino in his Kabala studies. Pico studied the Zohar along with the writings of Abraham Abulafia, Menahem Recanti and Allemano with his teacher, Flavius Mithridates. These sources together place primary emphasis on the practice of combining Hebrew letters and contemplating the resultant divine names. Agrippa also had the Zohar, plus the works of Rabbi Joseph Gikatilla and the German Johann Ruechlin. The abbot Trithemius was a personal friend of Reuchlin’s, as was Pico. Reuchlin was himself mystically inclined towards the theosophical and cosmological aspects of Spanish Cabbalism, leaving the magical applications in the margins. By contrast, Agrippa, who visited Trithemius in Germany in 1509 and again in 1516, fairly boldly appropriated and reinterpreted those practical tools that could be applied to Christian theurgy and magic. 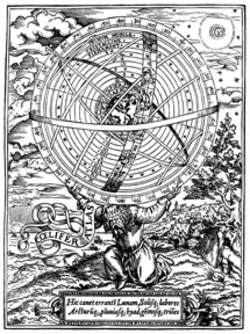 Agrippa dedicated the first edition of his De occulta philosophia to Trithemius, in 1510. This volume also contains a warm and supportive, though cautionary, response from Trithemius, praising Agrippa's efforts. The overt goal for Agrippa and Trithemius for working together on the Three Books was to affect an accord between magic and Christian doctrine, but it seems safe to include Ficino, Pico, Reuchlin and their Hebrew contacts into the larger movement as well. "It is no accident that there are seventy-two of Pico's Cabalist conclusions, for the fifty-sixth conclusion shows that he knew something of the mystery of the Name of God with seventy-two letters: [Yates supplies the quote in Italian]. All that we need to retain of the mysteries of the Cabalist conclusions is that Pico knew in some form the outline of the Path of the Sephirot and its connections with the cosmos, and that this was why Cabala connected with natural magic as its higher form. From the magical conclusions, we know that he did envisage doing practical Cabala, or Cabalist magic, though the details of the way in which he did this only the initiated can explain. More could doubtless be learned from Reuchlin's De arte cabalistica (1517), in which several of Pico's Cabalist conclusions are quoted and commented upon and in which the practitioner of Cabala could learn much that was not explained by Pico, for instance that angels, who are voiceless, are better communicated with by "signacula memorativa" (Hebraic mnemonic signs) than by speaking their names. "It was not, however, solely by the implication of angel magic in Cabala that Pico can be said to have prepared the way to the magical theology of Trithemius..." (he goes on to list three other virtues Cabala offered for Trithemius' enciphering scheme.) "...The resemblance between the occult precepts of the Italian Platonists and those of the German abbot Trithemius need not depend on mere historical analogies. For a direct personal link existed between Trithemius and his Florentine analogues in the persona of the abbot's humanist friend Johann Reuchlin (1455-1522), who visited Florence on two separate Italian journeys in the latter decades of the fifteenth century. Christopher I. Lehrich, modern hermaneut of Agrippa, makes the case that we really can't call it Christian Cabala, whatever writings on Hebrew Kabala was being promulgated before the publication of Three Books of Occult Philosophy. His argument is that before Agrippa, what we see is Christians writing in admiration of the Hebrew mystical machinery of the Alphabet, both as a cabinet of mystical wonders in its own right, and as a source of endless revelations when combined and recombined in its endless iterations. Lehrich is adamant that the first true Christian Cabalist is Agrippa, who took the Hebrew methods and redefined them in a Christian way, for Christians to use. Moshe Idel, on the other hand, uses his introduction to the Bison Book edition of Reuchlin's De art cabalistica to point out that Reuchlin is the first Christian to state explicitly that Kabala informs the teachings of Pythagoras. This was crucial link for including Moses among the so-called prisci theologi (pagan philosophers of supposed antiquity) and opening up Christian studies in the Old Testament. All involved agree that there's more research needed to fully explicate this early stage of the interface between the Hebrew Mysteries and the Renaissance magi. For our purposes, let it be noted that the Shem angels become a standard part of the Christian Cabalist's toolkit at this point. If previous works by other authors had soft-pedaled the magical applications of the Kabalistic angels, Agrippa's Three Books of Occult Philosophy effectively ended that era. Agrippa discusses the origin of these angels in Book III, Chapter XXV (Tyson's edition page 538), thus demonstrating that he is conversant with the Hebrew conventions of their usage. His list gives us the 72 angels given in their natural order, that is, in the order that their names appear out of the specially treated verses of Exodus, from one to seventy-two. "And these are those which are set over the seventy-two celestial quinaries, and so many nations, and tongues, and joints of man's body..."
In the very next chapter "On finding out of the names of spirits, and geniuses from the disposition of celestial bodies", Agrippa vouchsafes us another practical hint about contemporary magical astrological methods, telling us that Arabians and Hebrews 'make projection always from the beginning of Aries' when disposing the letters around the wheel of the zodiac to make angel names. Ought we to assume that Agrippa's later instructions are to be taken retrospectively into the previous chapter, or should we continue to wonder whether these angels are also "projected from the beginning of Aries"? Here's my thinking: The readers of this book were intended to use it like an encyclopedia or a mosaic, with each short article representing one piece of a much larger composite. It was not written to be read like a novel, but rather to be consulted in the same manner as one would a recipe-book. One could also say, these one-page essays function much like shingles on a roof; none of them stands alone as the total treatment of any given topic. Each one depends on the one that came before it, and supports the one that comes after it. Therefore I don't read these remarks as being separated by anything more than the author's intent to deal with only one item per short chapter. Plus, let's think magically for a moment. The entire Occult Philosophy that Agrippa is detailing is built out of correspondences. We see these things stitching the levels of both Agrippa's book and the cosmos together, layer-by-layer. One correspondence that I have repeatedly emphasized through these essays is the pairing of A=1. We have seen A used to symbolize many things, from Adam Kadmon (first human) to the number One to the concept of premier, originary, priority. A is the first letter of its sequence, One is the first number of its sequence, Aries is the first sign of its sequence, and Vehuia (VHV) is the first angel of its sequence. These things would naturally be brought together in the usage of Vehuia representing the first quinary of the ecliptic, 1-5 degrees of Aries. While looking for illustrations of the Medieval Cosmos, I found three examples where the 30 degrees of each Zodiac sign is divided up into six sub-decans of five degrees each. You would only expect to see this in the case of a person who was aware of the domains of the Hebrew angels. Otherwise, divisions by ten-degree wedges, called decans, were the normal astronomical method of breaking the signs into smaller units. There are two correspondence-sets referred to by Agrippa for the decans, each called "faces": The first doles the planets out around the decans in planetary-hour (Ptolemaic) order, like so: Starting with the first decan of Aries, with the natural ruler of Aries going first, the decans are ruled by Mars, then Sun, the Venus, then Mercury, then Moon, then Saturn, then Jupiter, then again Mars, etc. around the zodiac. (see Tyson's edition of Three Books, p. 360). How many ways are there to distribute the Shem Angels through the cards? Taking in our various sources, there is clearly more than one system for distributing these Angels around the zodiac. These entities have been with humanity a long time, and have served myriad uses across the centuries and cultures. The very straightforward list of angel/degree correspondences we are seeing in Agrippa is most often what's found with the Christian Cabalists; this list comes forward from Reuchlin and Agrippa through Athanasius Kircher's magical art and Knoor von Rosenrath's Kabbalah Denudata. We also see the list in the MS Harley 6482 (published as A Treatise on Angel Magic, circa 1699-1714). Subsequently this angel magic is disseminated by Martinez de Pasqually to the Martinists and Masons, then through Etteilla to Paris and the world. This list is repeated by Lenain in 1823 and finally confirmed by Papus at the turn of the 20th century. a) Agrippa's list, which, unless further amended, places angels 1-18 across the Spring signs, 19-36 in the Summer signs, 37- 54 in the Fall signs, and 55-78 in the Winter signs. In this case two contiguous angels are assigned per card, one informing the upright meaning and one informing the reversal. b) the Martinist variation found on Tavaglione's Stairs of Gold deck (apparently a reproduction of Ambelain's model as given in his Practical Kabbalah) which folds each sign in half at the 15-degree point to assign a "day sign angel" and a "night sign angel" to each card, following the seasonal arrangement above. An aside: Agrippa has also given us two decan-rulership systems, the Ptolemaic and the elemental, by which yet another layer of meaning can be projected upon the pips. It is the skillful combination of these different layers of rulerships and energetic exchanges that provides the core meaning-grid for the pips pack. See below for more on the decans. d) arranging the angels into groups of 18 by the elemental triplicities of astrology -- the first 18 becoming the Fire angels ruling Aries, Leo and Sagittarius; the next set become Water angels of Cancer, Scorpio and Pisces, then the Air angels inhabit Libra, Aquarius and Gemini, finally the Earth angels rule Capricorn, Taurus and Virgo. This is the arrangement found in the Lemegeton or Lesser Key of Solomon. This treatment is also justified by an illustration of the 78 broken-into-four elemental ranks under the four letters of the Tetragrammaton in Kabbala Denudata (Kabbala Unveiled), which was first published in Latin translation in 1684 (see p. 171 of Weiser's 1970 reprint). Thus, this option was at least potentially available to later Hebrew-literate practitioners, if not as much so as the list from Agrippa. A close examination of the Grand Etteilla pips next to the decks of Papus and Tavaglione reveals that they are all using the angel/card attributions that were governing Etteilla’s pips pack. At this time I do not know exactly when or where Etteilla got them, but we already know he was a Freemason, and the Shem angels were a part of the inheritance Martinez de Pasqually passed into Masonry via his Elus Cohen lodges. The fact is, however, that since the appearance of the earliest printing presses, anybody in the Christian world who wanted to know about the Shem angels could get their hands on them. Relative to the OGD's (Order of the Golden Dawn's) penchant for starting the angelic series at 6 degrees Leo and using the Ptolemaic rulers over the decans; I don't get it, have never gotten it, and this arrangement (along with the two-sign Royals and the broken alphabet on the Trumps) has proved an effective gate of restriction, keeping me from going any farther into the system. But don't let me imply that I haven't gotten value from my studies therein! By sending me in search of historical verification for their methods, the OGD paradigm has proved an effective motivator for my beloved career in magical studies. For this I am eternally grateful. Ultimately, a Continental Tarot should reflect awareness of the venerable number/letter tradition built into the ancient languages, wherein A=1 across multiple disciples and the Shem angels are ranged around the Zodiac from the first day of Aries. In the circumstance wherein all of our magical words are being spelled in Hebrew, and as a general rule across all Continental packs, we have the Sefir Yetzirah (in whichever iteration) and the niceties of the Greek alphabet reforms to help us settle our confusions about AAN correspondences for the Trumps. In the case of the numbered pips, we have the Shem angels and the elemental decan rulers to help us find a framework of non-repeating, meaningful, interpretable data. The royals (and the 10's) take meaning from the zodiac signs, the solstices and the equinoxes. In every case ,we see the gears of the Cosmic Clock slowly progressing the planets along their allotted courses, constantly rearranging the moving parts with every season and each lunar gyration. In this way Tarot becomes a reflection of the heavenly procession, doing the work of the Magi in every generation, bringing the movement of the Celestials down into view so we mortals can take an augury from their arrangements. Should one be wanting to draw from the Chaldean, the Egyptian, the Arabic, or some other astrological paradigm from antiquity, then it is assumed that one would choose an alphabet other than the Hebrew -- there's a usage of the Latin that reduces to 22 letters for divinatory purposes, for example. Going this route might introduce another alternate model with which to flesh out the decans and sub-decans on the pips pack, depending upon how the cosmos was taught by the culture in question. It's a pretty safe bet to expect that, no matter what culture is drawn from, there will still be 12 signs, 7 visible planets, and a few "extra" widgets to fit into the elemental/suit slots, even if called by different names. I hope to see more historically grounded creativity of this type appearing on future packs of cards. The Renaissance magi were known to cross pollinate as freely as the philosophers of the Alexandrian Synthesis, as freely as we do now. If there is documentary evidence for awareness of a given body of esoterica having gotten into the hands of the alchemists and magi between the 1400's and the 1700's, I think we should assume that somebody would be wanting to make links from it back to the Tarot deck. For a full treatment of the Shem angels on the pip cards of a Continental deck, a contemporary reference that people can find in the bookstores presently is Papus' book The Qabalah: Secret Tradition of the West, translated by W. N. Schors and published by Weiser in 2000. From page 266 through page 291 Papus details the Shem angels "According to Lenain" (La Science cabalistique. 1 vol. in-8vo. Amiens, 1823). Lenain is a great touchstone for us because he falls quite conveniently anterior to any of the late-century occult bickering between the English and French lodges. To get a sense of the sweep of this tradition, let's review the names we have heard repeated across the chapters of this discussion. Ficino, Pico, Reuchlin, Trithemius, Durer, Agrippa, Bruno, Kircher, Knoor von Rosenroth, Boehem, Martinez de Pasqually, Louis Claude de Saint Martin, Etteilla, Lenain, Eliphas Levi, Papus, Tomberg, and Sadhu. Meanwhile, Francois Secret, Antoine Faivre, Wouter Hanegraaff, Robert Ambelain, Gershom Scholem, Moshe Idel, Frances Yates, D P Walker, plus the several biographers of each focal historical personality affirm this lineage. Together these demonstrate the visible footprints of a longstanding tradition. The Shem angels seem to accompany each of these teachers and practitioners, as part of the "little black bag" of a well-equipped magus. Rosemary Ellen Guiley's Encyclopedia of Angels names the Shem angels one by one, and gives the traditional biblical verses associated with each one, but does not give their Hebrew spellings, nor the chapter and verse citations. This makes her list of limited value unless combined with that of Papus, who gives the citations and their wording in Latin, but not in English. Gustav Davidson gives a page in the appendix of his A Dictionary of Angels to the Shems, presenting the table from Frances Barrett's The Magus. There's very little explanation here about them. However, in his Introduction he makes this pithy remark: "The unremitting industry of early cabalists in creating angels spilled over into the raiding of pagan pantheons, and transforming Persian, Babylonian, Greek and Roman divinities into Jewish hierarchs." (p. xxiii) Perhaps this is the answer to the riddle of how the Persian angels got into the account of the Egyptian Exodus. Those who are lucky enough to have a copy of A Treatise on Angel Magic (edited by Adam McLean, published by Phanes in 1990) will have the list on pp. 43-50, along with their verses and their Hebrew spellings. However, I have noticed that two of them are misspelled, or at least differently spelled. Those are #42 and 48. I think it's good practice for aspiring magi to possess an angel table that they can trust to be reliable, but in this case, I would say that historical accuracy is preserving typos and obscuring truth. 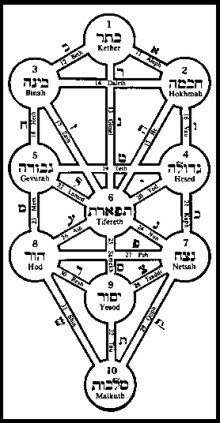 Also, do not forget the aforementioned The Qabalah; Secret Tradition of the West by Papus, which offers a goodly number of links and correspondences for each angel. The Tarot author Tavaglione gives a perfect list of Shem angels at the back of the booklet for his Stairs of Gold deck. 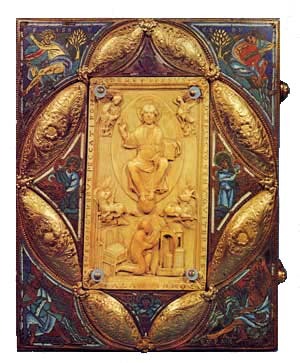 The table reads from the bottom to the top of each page, showing one angel for the card when it falls upright, and another for the card when it falls reversed. As expected, Tavaglione follows the Hebrew-Tradition angel order, which begins the sequence at 1 degree Aries and marches straightforwardly around the signs. However he also includes the variation that makes the upright meaning correspond to a quinary in the "day side" of the sign (the first 15 degrees), while the reversal of the same card is given to a quinary from the second half of the sign (the "night side" of the sign). Thus, every card represents a pairing of the 1st and 4th, 2nd and 5th, or 3rd and 6th quinaries of each sign. This is the approach used among the Martinists as reported by Robert Ambelain, and as appearing on the Etteilla cards. Tavaglione also reproduces the 'signacula memorativa' of each dayside angel, from Reuchlin, onto his pip cards, so one can see the graphic image that goes along with the name and the other correspondences. Meditating upon those angelic seals has been amazingly enlightening to this researcher. (The Papus Tarot also has these seals on them, but in a much less beautiful form.) Only 36 of these seals are visible on any Tarot deck that I know of, because the seals of the night-side angels are never given. I would love to know where the other 36 seals are to be found! One can also see these angels (but not their seals) on the Hermetic Tarot by Godfrey Dawson as well. 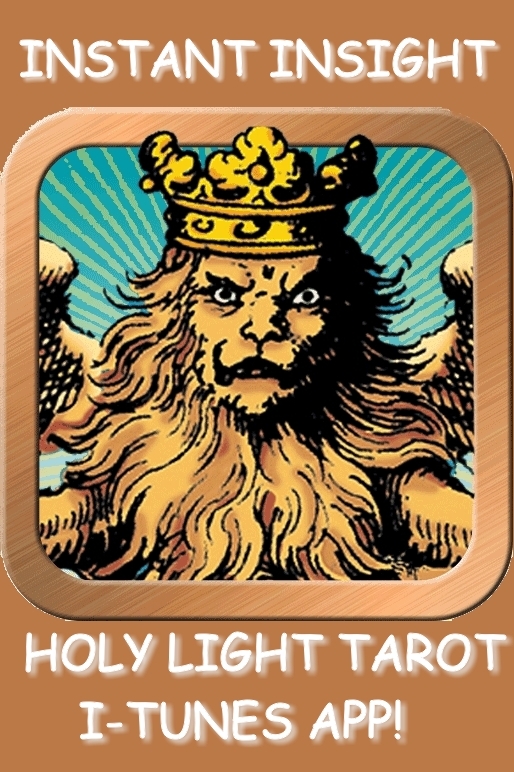 This deck has the virtue of presenting the OGD model very forthrightly in image and symbol. However, in this case we see the sequence begin in early Leo rather than in Aries, a pattern that doesn't exist anywhere in the milieu of Tarot's origin. Hopefully this essay will help Tarot students and practitioners better appreciate the ancient tradition of Hebrew angels for the sub-decans of the Zodiac, which enliven and deepen the pips pack of the Tarot. These angels have played an important part in the self-cultivation of the Illuminist lineage of mystical magi right up into present times. Traveling from culture to culture as they have, quite a lot of "personality" has been accumulated through their correspondences and correlations, not to mention the amount of charisma they've acquired from the outpouring of human attention coming their way across the centuries. This makes them amazingly able to reward the sensitive student for any time spent investigating their qualities and realms of action. Here's an activity that might give a glimpse of the value of these angels. Try this using the angel ruling the degree of your Sun, Moon, Ascendant, or any other astrological feature of your birthchart you are trying to fathom. That angel will be spelled with three letters, once any superfluous prefixes or suffixes are stripped off. Translate those three letters into Trumps, and then imaginatively install those three cards along your spinal column top-down; meaning, at your third eye, heart, and belly. Now you are "within the angel" so to speak, and can contemplate your chosen celestial object "in three worlds"; the Celestial, astral, and material respectively. One could follow this procedure around the year and spend five days a year meditating with each angel as the Sun transits through the quinaries. This type of exercise could prove enormously beneficial not only to one's grasp of the Pips deck values, but also to one's understanding of one's own elemental and astrological nature. "Shem Angels, Clues to a Lineage"
Since the copyright information for images is radically inconsistent across the web (and even this site), we attempt (!) to attribute images where appropriate by placing a relevant link connecting the originating site when possible. Anyone objecting to the use of their image here can have it removed immediately - Ed. The above links to a site where a set of Shem Angel signatures can be found, reputedly from the 16th century. However, note the caveat below the sigils -- that some have concluded these are images of the "shadow side" of the Angels, the mirror images of their powers. Thanks to MoonSinger, who shared the link over at TarotSalon (our Yahoo discussion group). And thanks to Uri Raz as well, who dug them up and made the available online. I find it very interesting that so much knowledge is out there about who I am. When I say this, I mean what you were born into and what name was given to you, its purpose. I have had this name all of my life and yes, I am Hebrew as well. I don't have many books that dwell into the origin of my name, but it is good to see that there is a waking knowledge of something out there. If you could, please send me more information regarding it, I would be most appreciative. As a gentile, if I wanted to understand a name in Hebrew I would go to my copy of _The Hebraic Tongue Restored_, by Fabre d'Olivet, and look up every sylable on its own. I would also look it up in _Dictionary of Deities and Demons In The Bible_. One could also calculate out the spelling in numbers, following that up to compare what other words add up to the same sum. Further, one could conjugate the individual words into as many forms as they each have, to get the larger sense of their implications in speech and writing. Beyond that, I don't know where to send you. If you find any secret caches of sacred name information online or in printed form, do let us know! I have been on the hunt for a way that 22 of the Shem angels/seals would correspond to the 22 Letters of the Hebrew alphabet. Do you know of any way this actually works? I'm not sure how this would work, as the Shems are consigned to 5-degree segments of the Zodiac, meaning they exist in a pattern of 6x12, distributed spatially around the Earth. There are 12 Zodiac Letters (each one therefore representing 6 Angels), but the rest of the alphabet represents the Planets and Elements, so what are you going to do with those? To make a complete Hermetic Cosmos out of the Alphabet, you need to layer the Shems into the Ladder of Lights (see Stoichieon/Somata Tarot essay), then envision the circulation of the Planets, Signs, and Seasons/Elements (all in their Hebrew spellings). Then, when using an astrological chart for a person, place or thing, you can create phrases of angelic power from the positional descriptions of a given planet's spot in the cycle. For example, let's say you want to strengthen your planets in Leo. The "phrase" you would construct could include the spelled-out names of the Planet(s)in question, along with the name of their Season (element), Sign, and the Angel governing each planets' individual placement. Adding in the astro-glyphs and sigils for the planets/signs/angels would reiterate the message as well. This "angelic equation" would then be added to a scroll, talisman, wax figure, ring, or whichever token one was using to "hold the energy". It might help you to investigate the sources on Hebrew Magic, just to get a sense of how the letters get used in the Jewish style. The letter-magic of the Hebrews has many ins and outs and perhaps you'll see an application that I have missed. But in general, the Shems get used as "markers" for the 72 slices of Zodiacal pie surrounding the Earth. They aren't also planets and elements, as the Double and Elemental letters are. If you find anything that will add to our knowledge, I do hope you will share! You would actually be getting very close to the Lullian work if you chose instead to use the Planets, Signs and Elements in their one-letter correspondences (as already assigned by the Sefir Yetzira). Then you could spell out a 3-letter "word" symbolizing the Planet, Sign and Element characterizing the energies converging on the angelic degrees. The angel names are themselves based on three-letter roots. This would give you a very concentrated phrase (six letters, minus prefixes or suffixes) that, in the hand of somebody who knew the key, would point very exactly to an exact location in the "heavens". 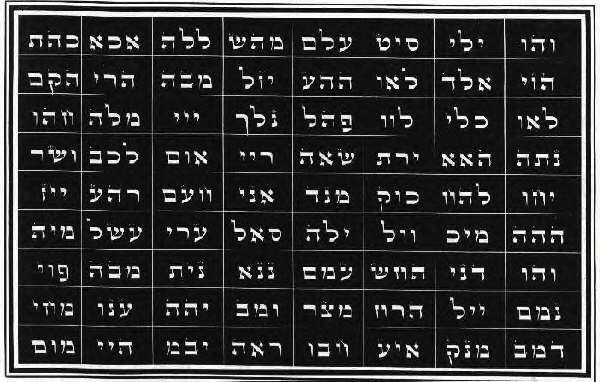 With a Hebrew Dictionary (and possibly using any of the letter-manipulation techniques used in Hebrew Magic), one could then determine a verbal meaning for the newly-resulting "name", which would enclose within its letters the esoteric charge of the whole cosmic assemblage. I am not saying this is what anybody in history actually did. I'm just saying, this type of thing is consistent with already-existing magical usage. The numerology of the Esoterico pack is no different than any other Continental pack, except that two pairs of planets are switched on the Trumps: Jupiter/Sun and Mars/Venus. The Esoterico follows the Hebrew usage rather than the Greek Alphabet Reform pattern of the other european packs. Esoterico's Trumps are delineated according to the Hebrew Letters on their faces,as detailed in Aryeh Kaplan's summation of the Sefir Yetzirah. For the pips pack, the Esoterico follows the eccentric Eudes Picard packs, which have a logic of their own. From what I've heard, the Picard book is in translation right now, but I don't know how or by whom it will be published. You can see other versions of this style on the Babli Tarot and the Universal Wirth Tarot. Otherwise, I'm not sure what else I can say till you ask the question again more completely.